A third person has died from eating toxic mushrooms that were picked by a caretaker at a senior home. 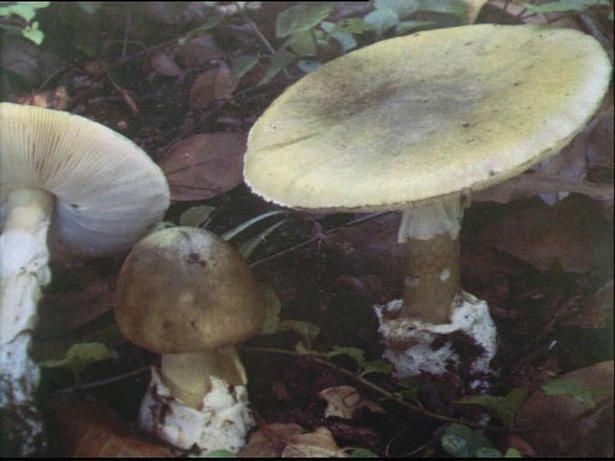 LOOMIS, CA — A third person has died from eating toxic mushrooms at a California senior care facility. State Department of Social Services spokesman Oscar Ramirez told The Associated Press Wednesday that the person died on Saturday. The victim's name was not released. Ramirez says the senior home, Gold Age Villa in Loomis, called Monday to report the third death. Two other people died and three others were sickened when they ate soup made from the toxic mushrooms on November 8. The caretaker who prepared the soup apparently picked the mushrooms from the home's backyard and did not know they were poisonous. State food regulations do not prohibit the use of foraged ingredients in food prepared at care facilities, though they do prevent the use of home-canned foods and unpasteurized milk. I'm not sure I got it right: so, basically, even if the supplier of the mushrooms is some amateur mushroom's hunter, is possible that those mushrooms will end up in some dish without any control? In a senior care facility? I ask because here only private citizens can do that (at their own risk): otherwise the mushrooms must be traceable, their package must be labelled with informations like producer/grower, location, type of mushrooms and so on. For private citizens who have doubts, the national health service has a specific department in charge of checking the potential toxicity of foraged food (for free), so all those who get poisoned by mushrooms are lazy arses. If the owner of a restaurant (for example)gets caught with food which origin is not clear, the very least that he'll face is the shutdown of the restaurant (if no one got hurt, otherwise it will be much worse) regardless the quality of the food. Same goes for schools, hospitals etc. I think you got it right, gata! The caregiver supposedly picked the mushrooms from in back of the house/facility in which the seniors lived. The caregiver probably didn't know any better and ASSumed they were alright to use since they were growing on the property. I don't ever eat mushrooms because I don't like the smell and I'm afraid of being poisoned. All except the most sever cases of brain damaged know not to eat unknown mushrooms. "Gee. I didn't know I wasn't supposed to put the gun against her head and pull the trigger three times." NEVER eat a mushroom, 1 bite of the wrong one and you will die. 3 more beds opening at the old folks home! Welcome to Gold Age Villa!